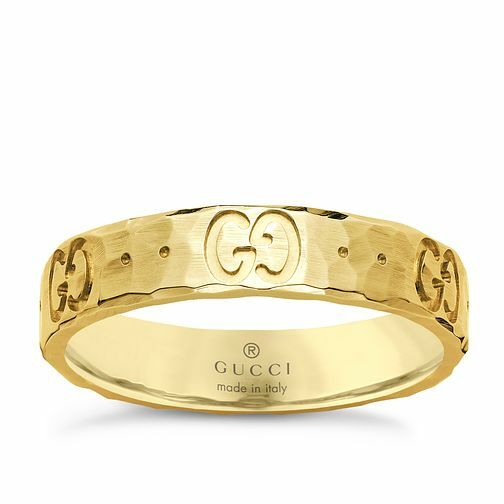 In sleek 18ct yellow gold this band ring from fashion label Gucci is engraved with the iconic GG monogram. This stylish ring reflects the chic Italian roots of the Gucci brand. Size O.